The unification of Germany is the most important change in Central Europe in the last four decades. Understanding this rapid and unforeseen development has raised old fears as well as inspired new hopes. 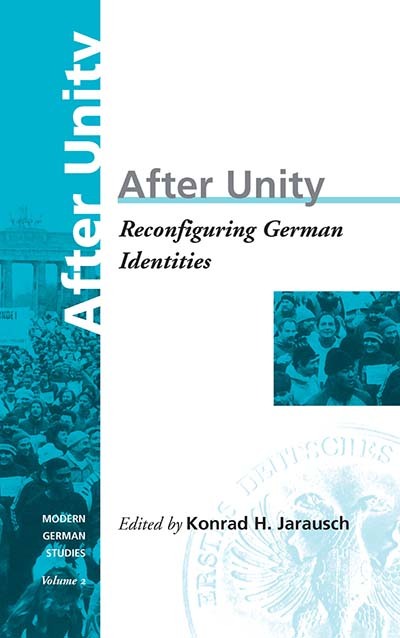 In order to make sense out of the bewildering process and to help both expert and lay readers understand the changes and consequences, an American historian and a German social scientist put together this collection of central texts on German unification, the first of its kind. An invaluable reference tool. Konrad Jarausch is Lurcy Professor of European Civilization at the University of North Carolina, Chapel Hill. His many publications include The Rush to German Unity (1994) and Students, Society, and Politics in Imperial Germany (1982). Volker Gransow teaches in the Department of Political Science at the Freie Universität Berlin. One of his more recent publications is The Autistic Walkman (1985). Chapter 3. East and West German Identities: United and Divided?